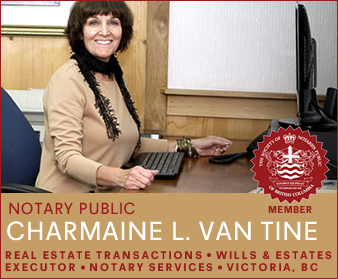 The pleasant harbourside village of Sooke on southern Vancouver Island provides a tranquil refuge from the bustle of city life. 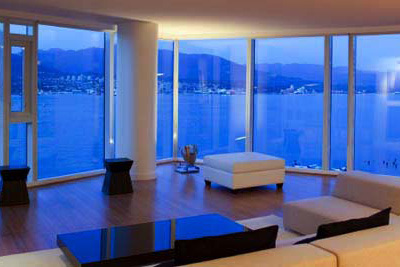 Sooke enjoys a relaxed, casual lifestyle in a rural setting that also affords many of the amenities of city life. 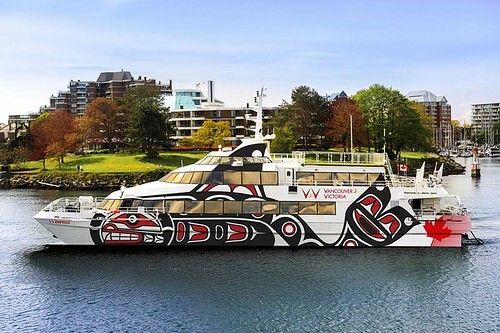 For centuries, this area was a thriving Coast Salish settlement. The T’sou-ke peoples lived alongside a salmon river and within a sheltered harbor, an area where seafood was in abundance along the seashore, and game, roots and berries were harvested in the forests. The name T’sou-ke is said to be that of a stickle back fish found at the mouth of the Sooke River. The T’sou-ke First nation proudly created a valuable and lasting legacy that continues to enrich the community to this day. Sooke enjoys some of the mildest climate in western Canada, with warm and dry summer months, and wet and mild winter months. Sooke’s unspoiled beaches, meandering rainforest trails and breathtaking vistas of Washington State’s Olympic Mountains attract visitors from around the world, eager to catch a glimpse of Vancouver Island’s rugged west coast. 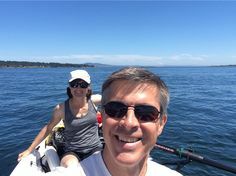 In comparison with the convoluted coastline on the south side of Vancouver Island, the southwestern side to the west of Sooke is positively razor-edged. So few are the protuberances that it even has a phantom point – Point No Point – that can be seen from certain angles but not others. In a series of indentations, the shoreline gradually sweeps east from Point No Point to Juan de Fuca Point – the real thing – which makes a bolder impression. 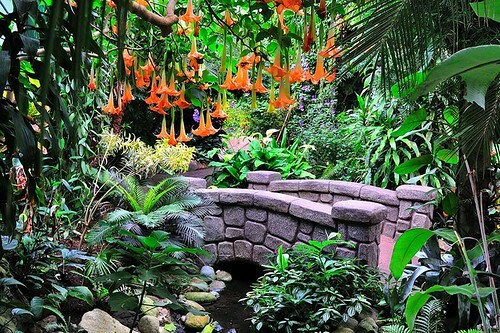 Location: Sooke is located 28 miles (45 km) west of Victoria on the southwest coast of Vancouver Island, a 40-minute drive along the scenic West Coast Highway 14. Scenic Coastline: Sooke is the gateway to the scenic West Coast Road (Highway 14), which winds 74 km along the coast to Port Renfrew and the starting point for the world-famous West Coast Trail. This is one of the South Island’s most spectacular drives – it winds through coastal rain forest and along the jagged coastline, past bed and breakfasts and seaside cafes, leading to some amazing beaches and ocean viewpoints. Sooke Regional Museum has many displays detailing the community’s colourful past. Moss Cottage, built in the 1860s, sits alongside the museum building. 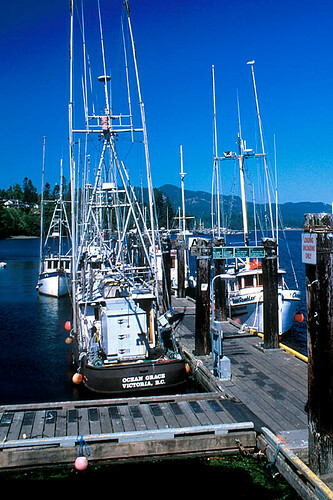 Take a nostalgic stroll around the grounds and discover Sooke’s logging and fishing history and First Nations culture. Fishing: The Sooke Basin is the staging ground for much of the salmon fishing activity on the southwestern coast of Vancouver Island. 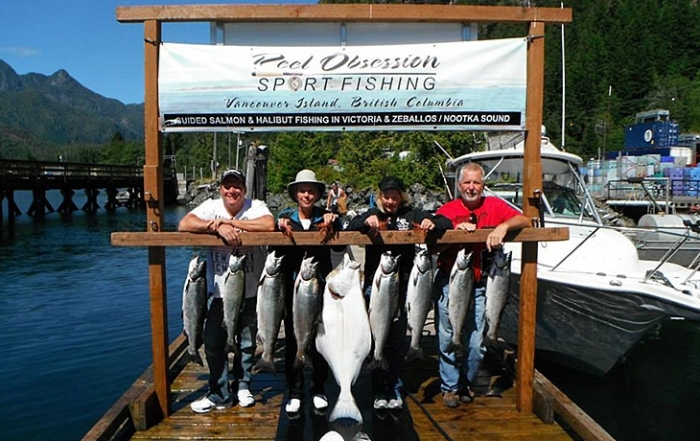 Some of the world’s best year-round saltwater fishing can be found in the Juan de Fuca Strait, just off Sooke Harbour. Stop in at one of the local marine businesses for the latest advice on where the fishing are running and biting, and what bait and lures they’re attracted to. 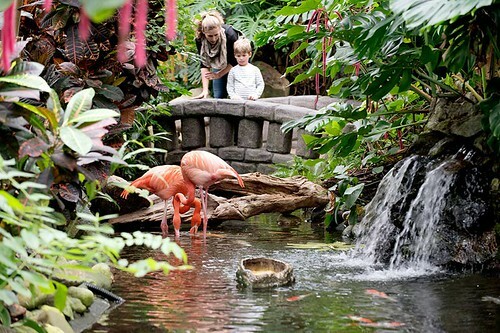 The Charters River Interpretive Centre and demonstration hatchery uses aquariums, terrariums, and a diorama of the watershed to show the importance of sustaining salmon runs and protecting salmon habitat. The salmon interpretive centre is located at 2895 Sooke River Road in Sooke and is operated by the Juan de Fuca Salmon Restoration Society, which serves the region from the Sooke Basin to the San Juan River Valley. There are over 12 creeks and rivers in this zone that stand to benefit from rehabilitating and restoring salmon habitat. Studio Tour: Vancouver Island’s largest juried art show takes place in Sooke, featuring the works of many of the island’s most acclaimed artists. Many talented artists and craftspeople open their studio and gallery doors each year for a glimpse at their beautiful works during the Sooke Studio Tour. Mountain Biking: Mountain bikers will be ecstatic over endless miles of excellent trails in the Sooke area. The area at the end of old Harbourview Road offers the most popular trails, including the Shields Lake Loop, a 25-km ride to Shields Lake, Grassie Lake, passed the waterfall, over Charters River, and back to Harbourview Road. 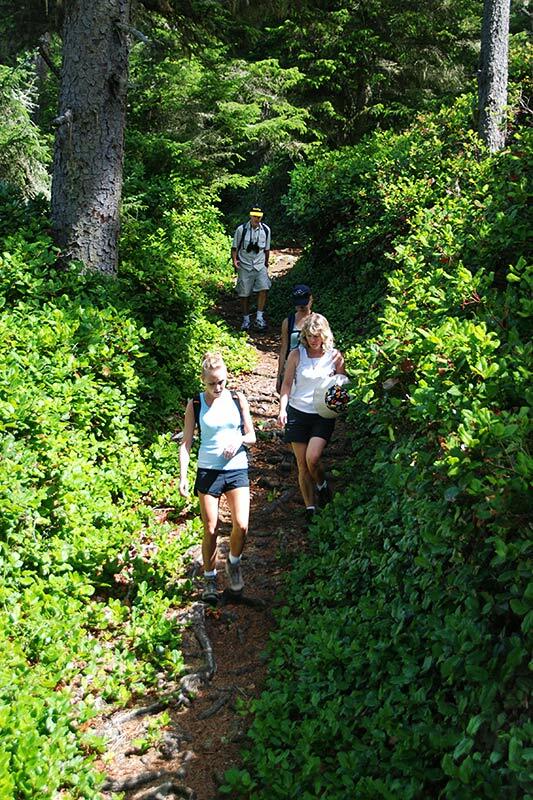 The 16-km Terra Nova Trail is a singletrack that runs from the Harbourview Road area to the top of the “4 lane” on Sooke Road, near Langford. 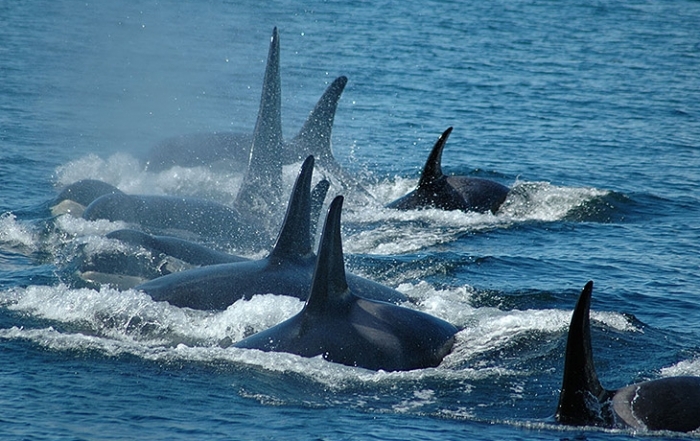 Diving: There is exciting scuba diving at Race Rocks, where swift currents bring a continuous supply of plankton to the tiny islets, making the area a spectacular feeding ground for marine mammals. 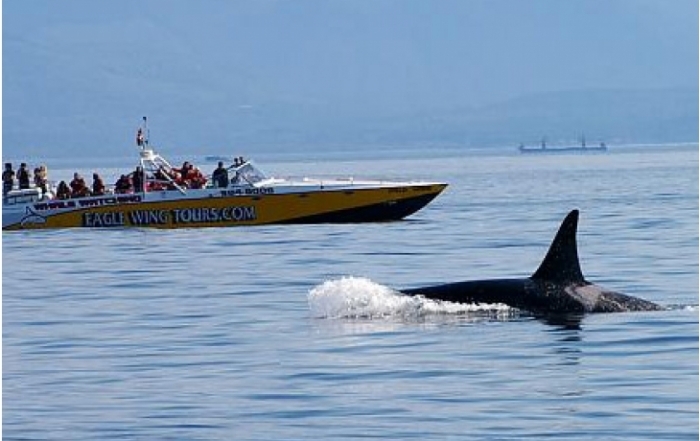 Access to Race Rocks Ecological Reserve is by boat only, with marine eco tours provided out of Sooke and Victoria. Fishing and collecting of all marine life is prohibited within the protected area. 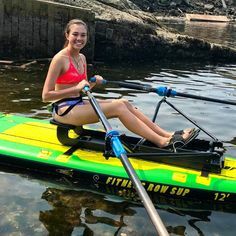 Sea Kayaking: For those who have only paddled in sheltered passages, sea kayaking along the outside waters of Vancouver Island is another world, one where you go big or you go home. 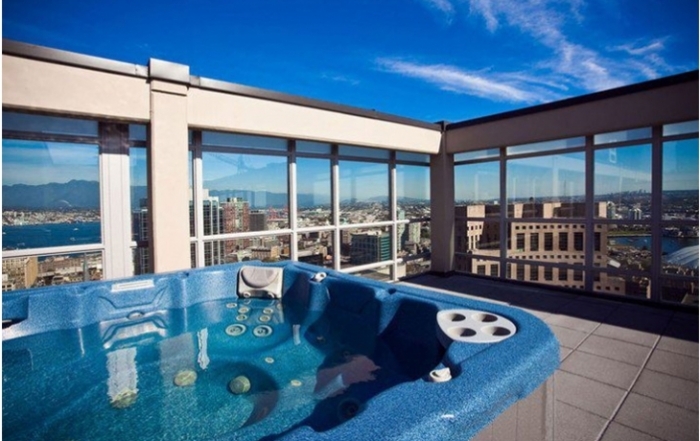 However, if you pick your time carefully, particularly in summer months, you’ll find that the Pacific Ocean can be as well behaved as a sleeping giant. 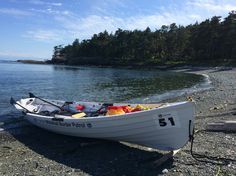 The 60-km ocean route between Sooke and Port Renfrew, with its string of beaches to touch on, can be paddled in a lengthy summer day. 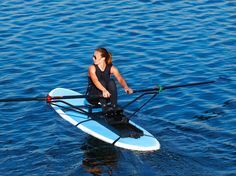 Of course, you don’t have to do the entire length of this coast to enjoy a kayak outing. Sea Kayaking around Vancouver Island. Surfing: There is a hard-core clique of riders centered in Jordan River that live for the great surfing in winter. Storms originating in the Gulf of Alaska generate most of the tastier surf that lashes BC’s coast from late September through March. Other swells come from Japan and more localized weather systems. This is in marked contrast to the summer, when distant Southern Hemisphere swells have a minimal effect, blocked entirely from the southernmost areas of Vancouver Island by Washington’s Olympic Peninsula. Golf: Golfers can tee off at the 9-hole public John Phillips Memorial Golf Course in Sooke. 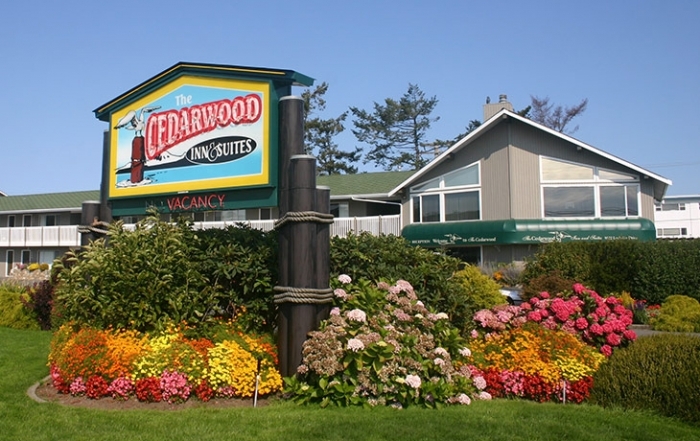 Nearby courses include the Metchosin Golf Course, Olympic View Golf Club, the Royal Colwood Golf Club, and the Bear Mountain Golf and Country Club. Galloping Goose Trail: Whether you enjoy hiking, cycling, roller blading, horseback riding, or just going for a stroll, the Galloping Goose is the place to be. 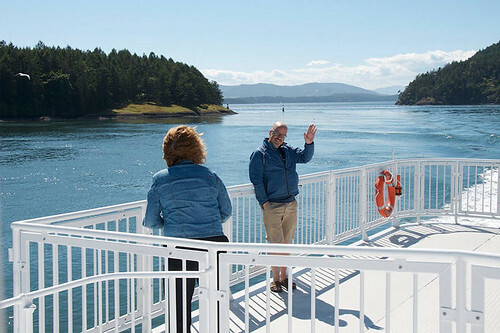 The 100-km multi-use trail links the communities of Sooke and neighbouring Colwood, Langford, and Metchosin with Victoria, and links up with the Lochside Trail to continue up the Saanich Peninsula all the way to the Swartz Bay Ferry Terminal passed Sidney. One of the most interesting rural sections of the Galloping Goose Trail runs for about 20 kms from Roche Cove Regional Park to the Sooke Potholes and Leechtown. 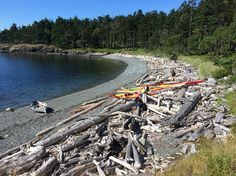 The Juan de Fuca Marine Trail begins at China Beach and continues a tough but accessible 47-kilometre hike along shoreline and through forest to Botanical Beach near Port Renfrew. This ambitious trail has been open since 1995 and is intended to be an alternative to the increasingly popular West Coast Trail. The Kludahk Forest Recreation Trail runs along San Juan Ridge for 18 miles (30 km). The trailheads are located at the western terminus of the Galloping Goose Trail in Sooke and at Parkinson Creek Provincial Park on the Juan de Fuca Marine Trail east of Port Renfrew. The trail, much of which is composed of former logging roads, follows San Juan Ridge through the Jordan Meadows in a subalpine region dense with avalanche lilies in springtime and four varieties of blueberries later in the summer. Four cabins are located along the trail and are open to all. The trail is particularly popular in winter with snowshoers and cross-country skiers. Juan de Fuca Point: A trail leads out to Juan de Fuca Point from Highway 14, an easy 10-minute walk. Look for the wide pulloff on the south side of the coastal road between French Beach Provincial Park and Point No Point. Gentler trails lead for shorter distances along the coastline, and often offer sheltered viewing of the ocean in the Juan de Fuca Strait, even during storms. Point No Point: From the little teahouse at Point No Point, which has occupied this location west of Sooke since the early 1900s, a pathway runs downhill. The salal grows so tall and thick that it forms a canopy above the trail as it leads towards the beach. A chunky log bridge that spans part of the headland presents a question: How did it ever get here? Inquiring at the teahouse will give you a chance to look at some archival photographs of the beach, the trail, and the changes this spot has endured. 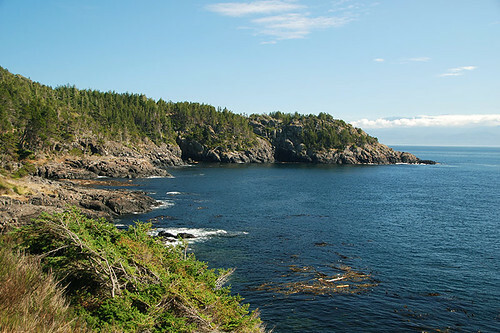 Located about 2 miles (3.5 km) north of French Beach Provincial Park. 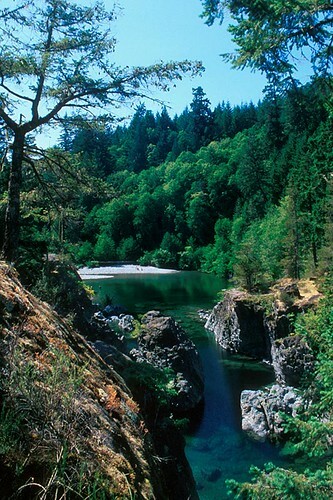 Sooke River: In the Sooke region you’ll find excellent salmon fishing in the Sooke River, where the annual salmon run is best viewed from Sooke Potholes Provincial Park. The natural pools in Sooke Potholes Provincial Park are popular swimming holes on hot summer days. The site has been luring picnickers from the Victoria region for years, so don’t be surprised by the controlled mayhem when you arrive. Sooke Potholes Provincial Park Visit the rural community of East Sooke, home to the 3,512-acre East Sooke Regional Park. 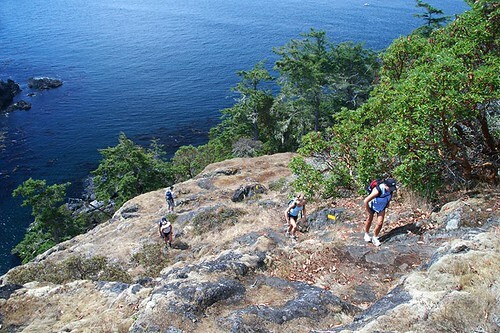 A favourite among novice and experienced hikers, East Sooke Park is one of the more spectacular parks in the region, encompassing natural and protected coastal landscape, attracting those looking for challenging hikes in a wilderness setting. The ten-kilometre Coast Trail takes you through lush rain forest, along windswept bluffs, and down to the ocean’s edge. 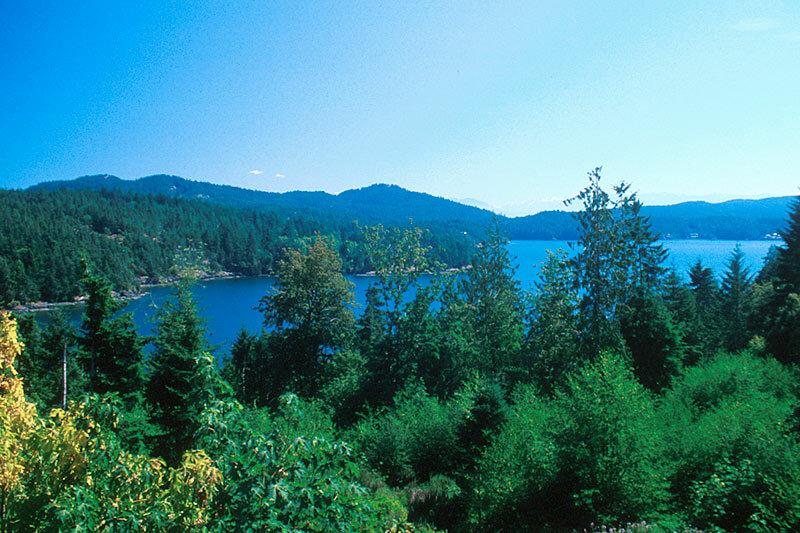 Sooke Parks: The combined recreational area of Matheson Lake Park and Roche Cove Park provides forested hiking and walking trails, swimming and fishing opportunities, numerous beaches, beautiful vistas and a paddling destination for those seeking a serene, cloistered environment. 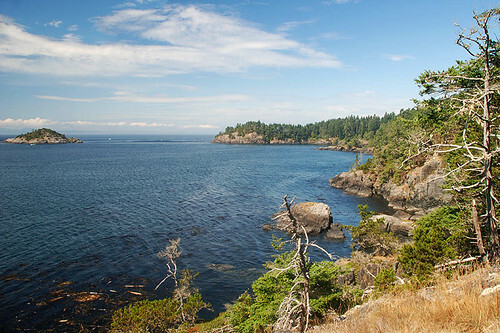 French Beach Provincial Park, west of Sooke, is a popular family recreational area. The beach is easy to reach off Highway 14, and a wide swath of lawn fronts this pea-gravel beach where you can picnic, swim, beachcomb, and watch for wildlife. The beach is protected from the full force of the Pacific Ocean by the Olympic Peninsula, and the waters here are a favourite feeding ground for migrating gray whales. 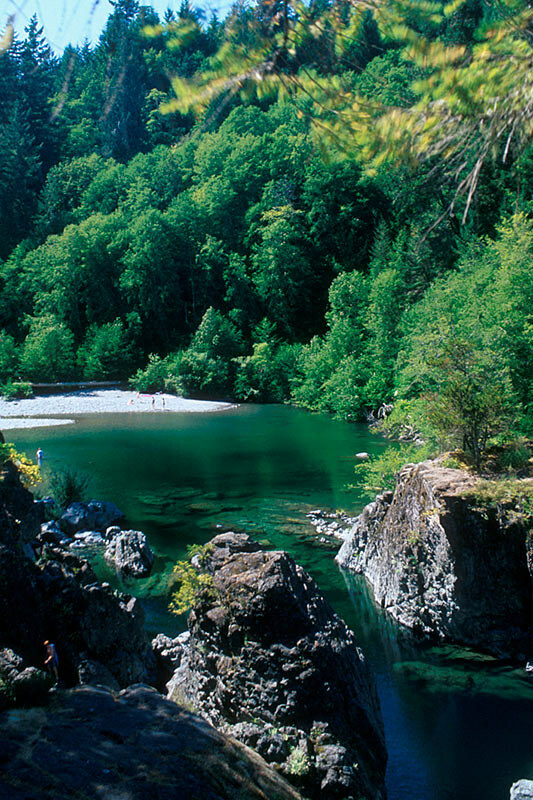 At China Beach Campground, just west of Jordan River, a 15-minute walk through glorious rainforest leads to a wide sweep of sand and a hidden waterfall. 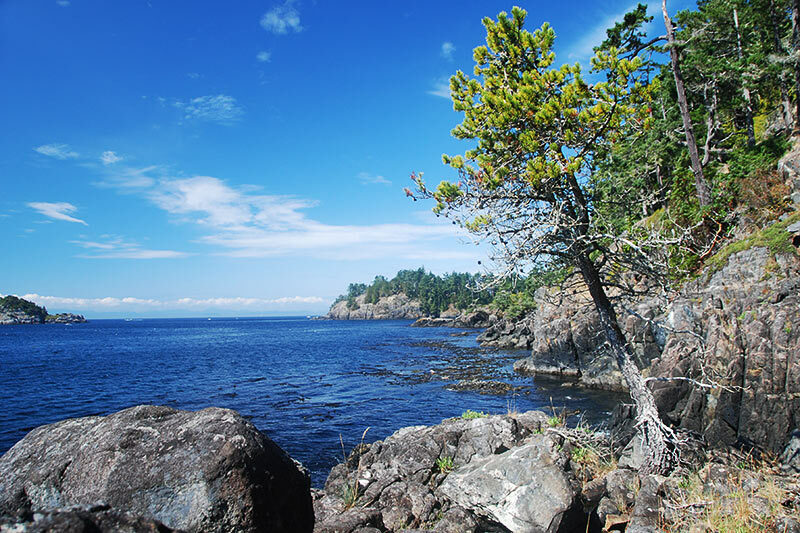 You can enjoy a short 2-km stretch of the Juan de Fuca Trail between China and Mystic Beaches. 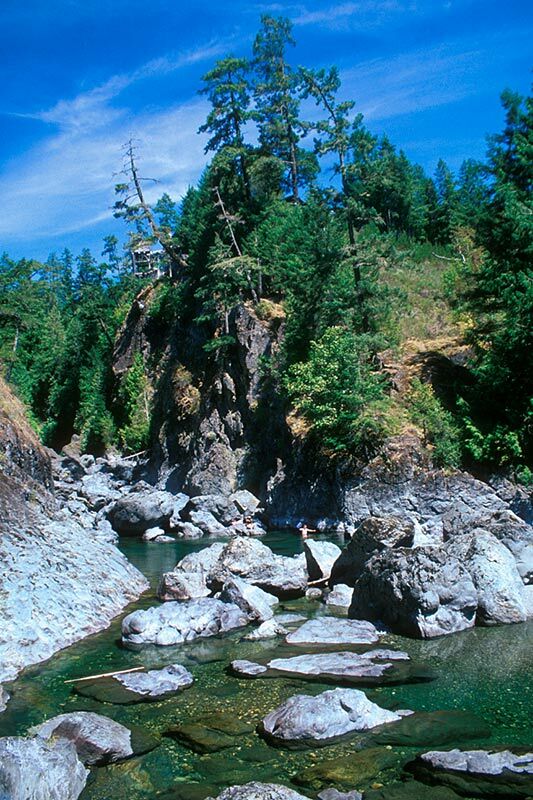 China Beach Campground is located in Juan de Fuca Provincial Park. 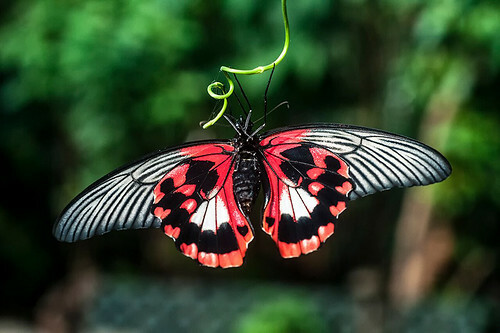 Eco Adventure Tour: Imagine standing on a platform with a bird’s eye view of the forest floor, preparing to soar over gulches and through the trees of a beautiful piece of West coast forest on 8 picturesque zipline crossings and 2 suspension bridges. 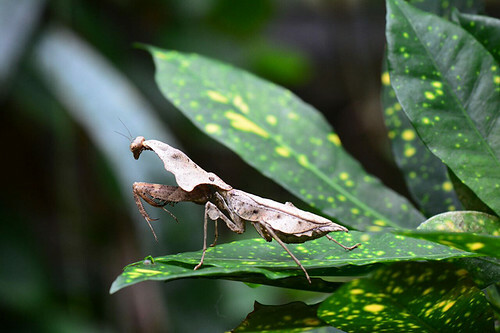 Adventurers immerse themselves in this spectacular environment and learn first hand about the unique flora and fauna of a truly West coast forest. The tour area is located in the forested Sooke Hills. Check the Sooke Visitor centre for further information. Sooke Country Market offers local crafts, organic vegetables, flowers, fruits, jams, and children’s activities. Held every Saturday from 10am to 2 pm, May through September, on Otter Point Road across from Eustace. Festivals and Events: Annual events include Canada Day Celebrations, held on 1 July, which features the longest running logger sports show. Sooke is also host to Sooke Fine Arts, Vancouver Island’s largest juried art show, held in August for ten days. Festivals take place year round, and peak from May through September. Some of the biggest annual music events include Sooke Bluegrass Festival and the Sooke River Musical Festival. West of Sooke is the coastal logging community of Jordan River, offering a terrific view of the open Pacific Ocean. Highway 14 makes its only approach to the ocean in Jordan River before beginning to climb San Juan Ridge once more. To the east of Sooke are the Western Communities of Colwood, Langford and Metchosin. 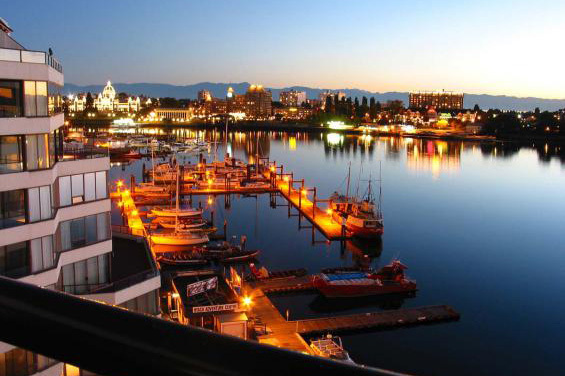 The Western Communities is a largely residential and rural area of Greater Victoria, offering a number of excellent parks, golf courses and many other sports facilities.